The extra virgin olive oil 100% Arbequina variety from Casas de Hualdo stands out for being a olive oil filled with aromas and sweet notes, with an average intensity it is also known for having a high quantity of natural antioxidants. We recommend the Single-variety extra virgin olive oil Arbequina for olive oil lovers because it’s softness and multitude of aromas. Tasting notes: The smell reminds us a multitude of aromas of green leafs and apples, it has a medium intensity with an equilibrated bitterness and spiciness which gives it a own character remaining stable over time. Packaging: dark glass which limits light contact for optimal conservation. 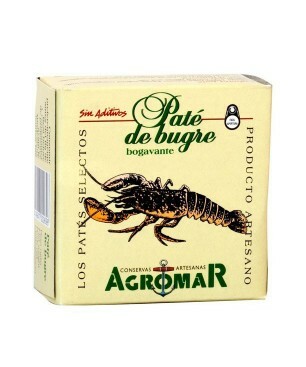 The Lobster pate by Agromar is a creamy and tasty pate for appetizers and tapas. It has a high content of lobster, more than 40%. We recommend to serve chilled on thin toast and with white wine from Rias Baixas Ingredients: lobster (40%), hake, lobster fish stock, margarine, milk, eggs, brandy, natural spices and salt. Net weight: 100gr. Expert tasters describe the 100% Arbequina extra virgin olive oil from Casas Hualdo as a high quality extra virgin olive oil with soft notes and a equilibrated and stable taste remaining stable over time. The history of Casas de Hualdo dates back to 1986, when the founder of Casas de Hualdo called Francisco Riberas started its career in the world of agriculture by acquiring a property called “FincaLa Ventilla” in a region known as El Carpio del Tajo (province of Toledo). Francisco Riberas applied quickly his own philosophy of work, extending and expanding the boundaries of the property, making it a large farm with various activities. 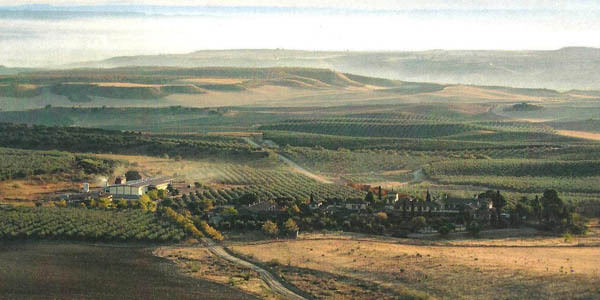 In 1996 the owner decides to make an ambitious transformation of the property by planting more than 300,000 olive trees, beginning thus in the world of olive oil production. Thanks to the climatic, geographic and agronomic characteristics of El Carpio del Tajo it is possible to obtain a generous production with unbeatable quality features. obtain always the best possible result. 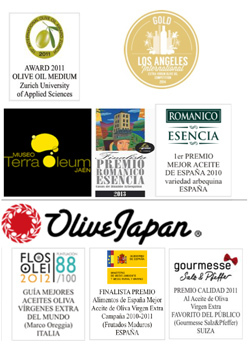 As result of the hard work of many years we obtain high quality extra virgin olive oil, Casas de Hualdo olive oil production pretends to be a tribute from Hualdos family and colleagues to the founder of Casas de Hualdo Francisco Riberas, who sadly never saw the the culmination of his project. 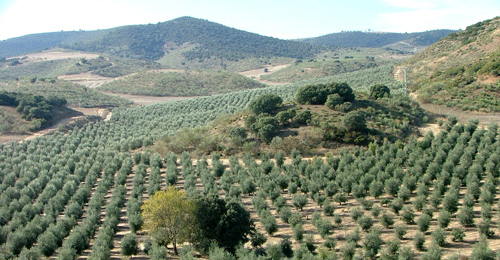 The olive tree cultivation of Casas de Hualdo is located in the region called “El Carpio del Tajo” (province of Toledo) more specifically in the Tajo river Basin. This area is unique thanks to its geographical setting, theTajo river models a stepped landscape ranging from 400 to 600 meters of altitude.The Region of the Tajo river basin has a undulating topography alternating lowlands with small mountains . The climatic conditions in this region can be considered extreme, with cold winters and hot and dry summers which favors the natural control of pests and diseases. 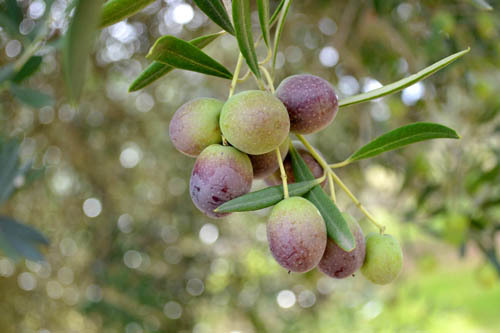 With the arrival of autumn temperatures drop notably although without frosting, the low temperatures ensure optimal conditions for harvesting the olives. As soon as the olives harvesting is done, all the olives are transported directly to the mill, where they are processed as rapidly as possible in order to avoid any deterioration of the fruit. Extra virgin olive oil is always obtained from olives at its optimal ripeness and following exclusively mechanical processes in conditions that do not lead to any sort of alteration of the olive oil. 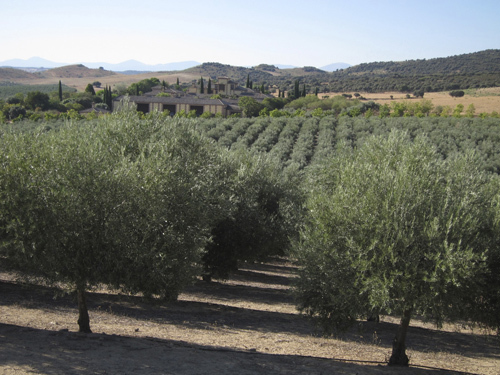 Casas de Hualdo olive tree cultivation is located in a region that has a long history with olive trees cultivation, proof of it are many Mazarabic documents relating this land to olive tree cultivation.